Another true crime book by Diane Fanning and if you have ever read one of her books,you will agree with me that all her books are written clearly and easy to read and follow.Another trend with Diane Fanning books is her ability to bring other current crimes into the story.They are either recent crime stories from the same area or as in this book,similar crimes around the country. I was shocked to find out how many women have been murdered by strangers while pregnant and all with one aim,to take their baby. Diane Fanning also included in Baby,Be Mine the one crime story that brought this small town of Skidmore onto the map.Ken McElroy was a tyrant who had even murdered but always found a way to evade the law.One day,in the middle of the city centre with many witnesses someone pulled out a gun and shot him dead.No witnesses have ever come forward to identify who shot him.The people of Skidmore are still angry that every time Skidmore is in the news this old story is rehashed again and again.Because of this Diane Fanning had quite a bit of trouble doing research and finding answers for her book because the townspeople are still very wary of "outsiders." I also found out about the "Patriot Act" in this book.This act gives law enforcement the right to seize computers with a warrant if the computer is owned by someone who is not a suspect.I have a question about this? 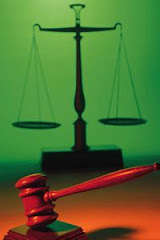 What if upon seizing the computer,facts come to light which then,and only then,make the owners a suspect in the crime?What if law enforcement insist that a person is not a "suspect" just so computers can be seized without a warrant and then openly later declare the owner a suspect?This act seems to have a lot of loopholes, never mind possibly providing grounds for appeal/mis-trial in a later conviction.These are just my thoughts and I haven't had time to properly research this act but I will soon.Also included in this book was how the "Amber Alert" rules were changed from this one case. The book also explored the rights of grand parents and laws passed subsequently.In this case I could imagine that the murdered victim's mother would get a bit over protective about her remaining grandchild,considering her only child was murdered.The son-in-law tried to restrict access to the child by Bobbie Jo's mother,the maternal grandparent.I can only imagine what grandparents go through in a case like this.Diane Fanning does provide the resolution to this problem in the book. Basically this book was very easy reading considering the vast amount of information.This was obviously well researched and Diane Fanning books are known to have the information well laid out so that the book flows effortlessly.I love all the different tips she provides and I would not hesitate to read her next book.She left a comment on my post on Into The Water where she stated that her next books Poisoned Passion will be released on 1 September 2009 and the other one Mommy's Little Girl will be available on November 3,2009.I have already set a reminder on my online bookstore for these books. I read this book in April 2009 and it has 246 pages and 8 pages of photographs. Hi Yvette, thanks for stopping by! About the iPod, I have an iPod Classic. It is the same thing young people buy for their music. I purchase audio books from iTunes, which is installed the first time you hook up your iPod to the computer. Once you purchase the book it is downloaded to your computer then when you "sync" the iPod the book is put on the iPod. I find it handy as it is so small. I listen to books on the iPod while cleaning the house and getting ready for work in the morning mostly. There are other places you can get audio bookd but I haven't tried them. You may be braver than me! Hope thin helped! If you have any more questions, feel free to ask! YIKES! This is awful! How could someone kill a mother and cut the baby out????? It sounds as if they caught the murderer/kidnapper I'm glad to hear. Great review. Thanks Sharon for the iPod info.I am going to check for same over here.And about the book this was amazing work by the investigators.They fought hard and An Amber Alert was sent out (despite not having a description of the child to give) and this Lisa was caught in 23 hours. Thank you for the review! I didn't know about this book. I had read Murder in the Heartland. I will have to pick this book up. Keep up the great work! 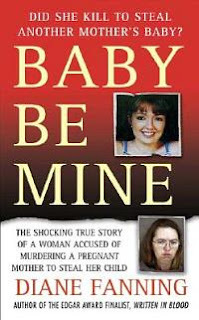 I have read "Babby Be Mine", and I although I enjoyed it, it was like reading 5 books in one! I now know more about Ken MCElroy than I do about this story. To top it off, IT HAS NO ENDING!!!!! It's pretty bad when I have to Google the outcome of a story, after buying the book! Did you just not bother to stick around for the trial/verdict or did you simply not think it was important for your readers to know how the freakin' story ended? I will NEVER buy another one of your books. Until that is, you start including endings!